The first steps together as a married couple are the most important, and this guide will help you show soon-to-be-wed couples how best to start out. Most people in Britain marry between the ages of twenty-five and forty-five. This is precisely the generation most likely to be absent from our churches, therefore a marriage preparation course, provides an opportunity for mission, particular when so many non-Christians still desire to marry in church. A marriage preparation course offers the opportunity for the Church to engage in its mission of articulating the gospel, especially among those who have limited opportunity to hear it. 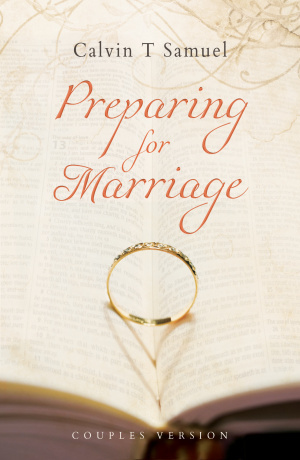 Preparing For Marriage Couples Book by Calvin T Samuel was published by Malcolm Down in December 2018 and is our 56325th best seller. The ISBN for Preparing For Marriage Couples Book is 9781910786987. Be the first to review Preparing For Marriage Couples Book! Got a question? No problem! Just click here to ask us about Preparing For Marriage Couples Book.